Merry Christmas and big THANK YOU! I want to wish you and your family a Merry Christmas and say a big THANK YOU for your support throughout 2008. It has been a great year for myself and my team here at: http://www.leehayward.com/ and I'm looking forward to an even better 2009. I started http://www.leehayward.com/ back in January 15th, 1999 so in 3 weeks we'll be celebrating our 10th anniversary, which I'm super excited about! Not too many websites have been online this long. And to kick off our 10th year anniversary online I'm going to be releasing a new bodybuilding DVD and book titled "Your First Bodybuilding Competition". The DVD is of a seminar that I did at our most recent local bodybuilding competition. 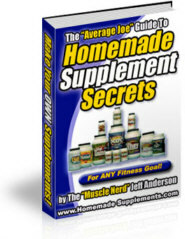 It covers all aspects of losing bodyfat and getting ripped. 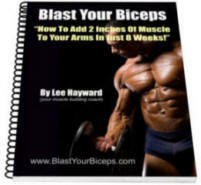 The book takes the topics that I covered in the seminar and goes into much greater detail with sample eating plans, workouts, as well as some killer tricks that you can use to sharpen up your physique with regards to manipulating your water and sodium so you get that hard shredded look. It also covers all the fine competition details with regards to posing, what the contest judges are looking for, how to hide your weak points, show your strong points, tanning, removing body hair, etc. You'll be hearing more about the book and DVD package in the New Year, but for now just enjoy Christmas and stuff yourself full of tasty goodies! When you are weight training in the winter time you need to take a few extra precautions to prevent injury during your workouts. I personally wear a zip up sweater during my workouts in the winter to help keep my body warm. If your muscles are cold while you workout you are more likely to suffer a muscle pull or muscle tear. So by simply wearing a sweater you can help prevent this. I'm often asked how do I build big muscular calves because this is one bodypart that is very well developed for me. So in this video clip I'm going to share my 4 favourite calve exercises, as well as some technique tips that will help you carve out your own set of diamond shaped calve muscles. This is a killer trick that you can use to instantly increase your bench press strength your very next workout. All you have to do is perform a set of reverse dumbbell flyes (aka bent over dumbbell raises) in between each set of bench presses. What this will do is take some of the blood and lactic acid build up from your chest and front delts and put it into your rear delts and upper back. This allows you to feel stronger under the bar and actually bench more reps and/or lift more weight than you could if you did not perform the reverse dumbbell flyes before each set of benches. This is a cool plyometric push up variation that you can use to help build explosive strength in your chest, shoulders, and triceps. You can exert 100% effort into the exercise and the bosu ball will help absorb some of the shock and ease the pressure on the joints. Can women do the same workouts as men? My husband is a total believer in your workout routines on this website and he recommends it to me. What type of modifications should I make being a woman versus a man? There is not much if any difference in the actual workouts regardless if you are male or female. Both men and women have the same major muscle groups and those muscle groups need to be trained with the same exercises. A prime example of this is with myself and my girlfriend Patricia, we workout together as training partners and we do the exact same workouts set for set. The only difference is the weights we lift are in accordance to our own individual strength levels. So even though I tend to word things from a man's perspective (as the majority of my website visitors are men), a woman can follow the exact same workouts that I have listed on my website. Below are a couple recent pictures of my girlfriend Patricia and she got into this kind of shape following the weight training workouts that I recommend here on this site. This is a unique bicep exercise that is great for finishing off a bicep workout and getting a good peak contraction throughout the biceps. You set it up by attaching a single handle to the low pulley cable row machine. Sit far ahead on the bench, bend your knees at 90 degree angles, and brace your elbow on the inside of your knee. Perform concentration curls with one arm at a time, similar to how you would if using dumbbells. But because the exercise uses a cable instead you'll get constant tension on the muscles at all times through the full range of motion. Live Bodybuilding Talk Show Tonight! So if you have any questions about training, nutrition, supplements, or just want to shoot the breeze about bodybuilding and fitness then be sure to login tonight at 8:30 pm eastern time. During the show I'm also going to explain how you can get a copy of my Total Fitness Bodybuilding 3 Disc DVD Set, just in time for Christmas for only $7 bucks! Progress pic after just 2 months of working out! As you know I love nothing more then to hear about success stories from folks like yourself who visit my website on a regular basis. This is what makes all the time and effort that I put into this worthwhile to me. I can't understand how some people can come up with excuse that they don't get the time to work out. I work 12 hours a day, every day accept Sundays, I come home at 18:00 in the afternoon, and I still do my full workout, eat, shower and go to bed. While Andries may consider his progress “slow”, I personally think that he is doing fantastic! Especially for just a couple months of working out. I know a lot of people who have been working out a lot longer then that and are no where near as good of shape as Andries is in. 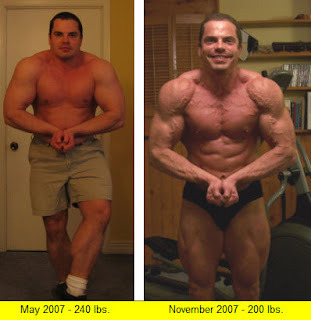 This just goes to show that if you keep consistent with your training, proper eating, etc. that you can make some awesome progress in a very short period of time. Great job Andries, keep it up! 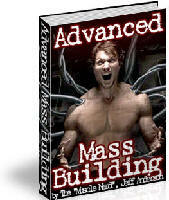 for the bodybuilding and fitness enthusiasts on your list. Why not get them a set of Heavy Grips Hand Grippers! 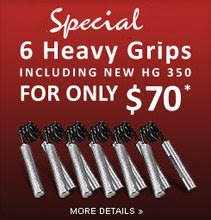 slashing the price of the full set of 6 Heavy Grips! them to get YOU a set of Heavy Grips?